Our heating repair engineers are trained by Worcester Bosch as part of the prestigious Worcester Accredited Installer Scheme. 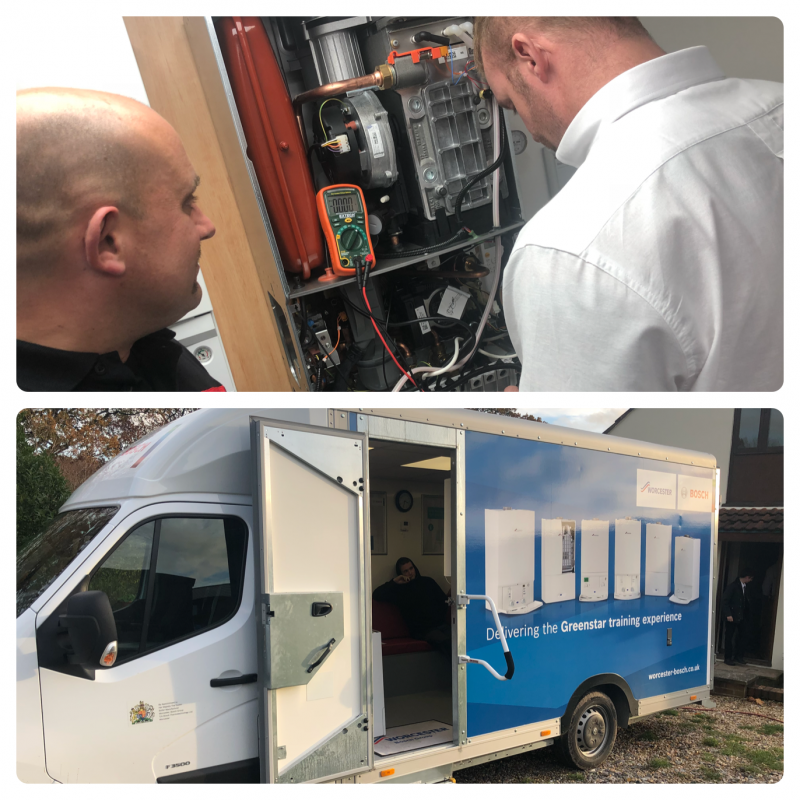 The Worcester training van has been with us in Honiton as recently as this November 2018! Our engineers are trained in all types of work from underfloor systems, radiator systems and all fuel sources including Gas, Oil & LPG. For a fast and efficient central heating or boiler repair contact your genuine local company Synergi SW! Call 01404 234 363 or email us via the contact page. See our price list on the charges page. Check out our proactive service & safety programme for an efficient way to maintain your boiler!